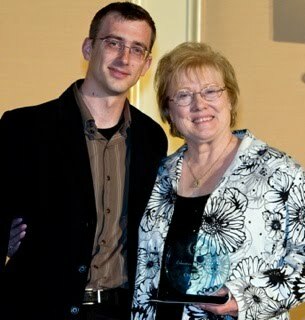 Education Director Ben Johns went to the Chorus America annual conference in Atlanta to receive the 2010 Chorus America Education Outreach Award from Mary Lyons. Thanks, Chorus America! 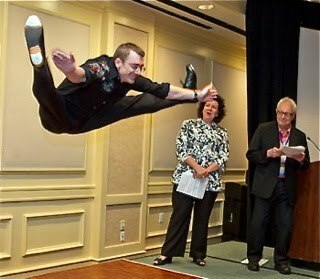 Since next year's annual conference will be in San Francisco, Ben was asked, along with Melanie Smith ( ED of the SF Girls' Chorus) and Vance George ( Music Director Emeritus of the San Francisco Symphony) to do a little patter encouraging people to come here next year. Ben displayed one of his extraordinary skills.